A Pima County jury sentenced Christopher M. Payne to death for killing his children Ariana, 3, and Tyler, 4. Ariana's body was found in 2006 in a north Tucson storage locker. Tyler's body has never been found. A jury deliberating the penalty phase of the murder trial of Christopher Payne decided on Tuesday that Payne should die for the crime. The jury had considered whether Payne should be sentenced to death or life in prison without parole for about five hours before reaching a decision. Payne was convicted on March 17 of starving to death his two children, Ariana, 3, and Tyler, 4. Ariana's body was found in 2006 in a north Tucson storage locker. Tyler's body has never been found. Gruesome testimony during the trial showed Payne had picked up the two children from their mother's home in Catalina, and never returned them, even though she had custody. Payne's attornies argued in court that the mother, Jamie Hallums, was a drug user and unfit. During the penalty phase, Payne's public defender argued his client wasn't born a killer and should be allowed to live his life out. John O'Brien said he wasn't attempting to minimize the value of the children's lives, but said there was adequate mitigation shown in the case to sentence Payne to life in prison. Prosecutor Susan Eazer says there is evidence Payne was dealing heroin at the same time his children were starving in his closet. Payne, 30, told investigators after his arrest that he stored the children's bodies in garbage bags for several months before moving them to the storage locker on Prince Road. 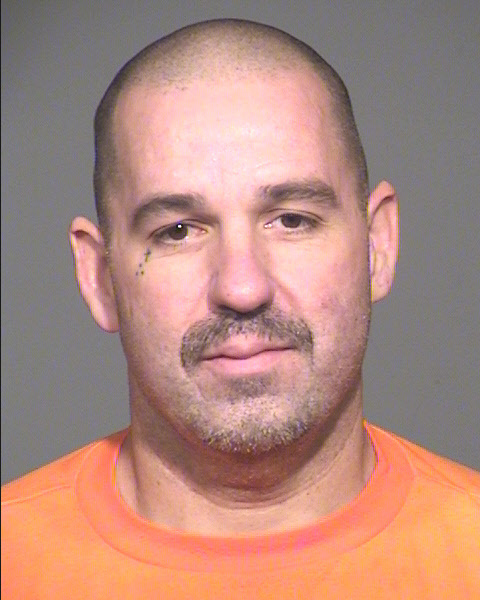 PHOENIX — The Arizona Supreme Court on Wednesday unanimously upheld the convictions and death sentences of a Tucson man for starving his two young children to death while they were locked in a closet. Christopher Mathew Payne and his girlfriend starved and abused 3-year-old Ariana Payne and 4-year-old Tyler Payne for months until they died in September 2006. The case drew critical attention to Tucson police and the state child-welfare agency because authorities had prior contact with Payne and his children. The case also figured in enactment of state laws intended to make state Child Protective Services more accountable and transparent. Payne was convicted of first-degree murder, child abuse and concealing a dead body. According to trial testimony, Reina Gonzales had complained to Payne about his children's behavior while they were at home when he was at work, and he punished them by locking them in a closet and denying them food. The daughter's decomposed body was found in a storage unit after Payne stopped paying rent on the unit. The boy's body wasn't found. Saying that the children suffered "mental anguish and physical pain," the court rejected Payne's challenge to a jury finding that supported a death sentence because the killings were committed in an especially heinous, cruel or deprived manner. The prosecution, the ruling said, "presented substantial evidence that Payne locked his children in a closet to live in darkness and filth, suffering from injuries while they slowly starved to death." The jurors also said other circumstances supporting a death sentence include the young ages of the victims and the fact that there was more than one killing. In one of his appeal arguments, Payne's lawyers said the trial judge should have moved the trial from Tucson because of extensive news coverage about the case. The justices disagreed, saying that most of the coverage was published long before the trial and Payne didn't show that the jurors who decided his fate were prejudiced against him. Gonzales pleaded guilty to two counts of second-degree murder and is serving concurrent 22-year prison terms. Months before the children died, the children's mother had complained to police that she had legal custody of the children, but police allowed Payne to keep the children after officers spoke with a CPS official. Accounts differed on what the CPS official told police. CPS had previously investigated an allegation of neglect by the mother, but it wasn't substantiated. The state agreed to a $1 million settlement with the mother, Jamie Hallam. Following 2007 hearings that examined CPS' handling of the Payne case and others involving parents, the Arizona Legislature in 2008 approved laws to provide new oversight for the agency. The new laws included increased public access to CPS information after the death or serious injury of a child. Others provisions opened some CPS-related court proceedings and allowed inspection of state employee disciplinary records.